We dined at tony Vie in Western Springs at their Chicago Restaurant Week four course price fixe special evening with daughter Erin and S-in-law Johnnie, arranged by son Ryan. They offered a meat and a fish entree selection so I took two special Napa bottles BYOB - Del Dotto Napa Valley Rutherford Cabernet Sauvignon 1999 - a special year for the kids, and Signorello Estate Napa Valley Hope's Cuvee Chardonnay 2010. A wine course and or beer accompaniment course was offered but we took advantage of and appreciated Vie's corkage fee/accommodation. 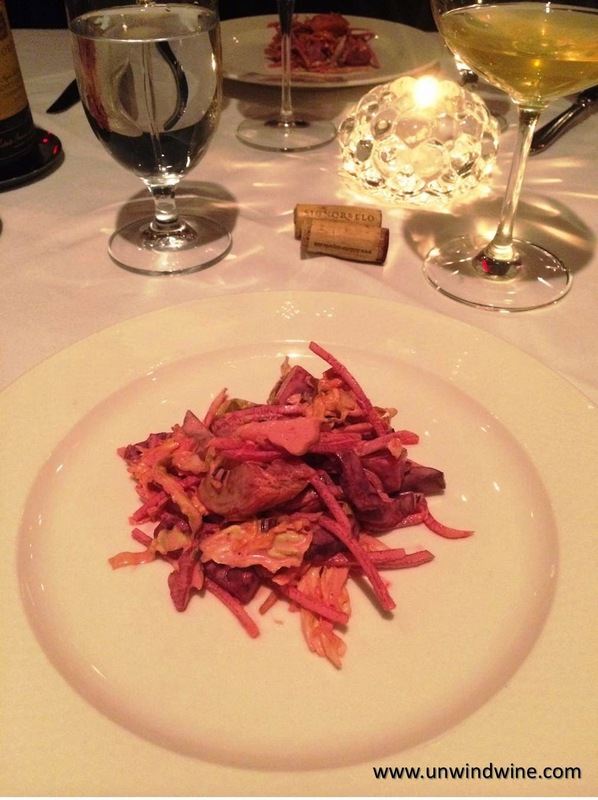 The wines were a highlight of the localvor fine dinner course pairings shown below. Tempura fried pickled summer beans, roasted sweet potatoes, harissa mayonnaise, arugula (shown left). Imaginative and tasty. Roasted and pickled beets, watermelon radish, savoy cabbage, smoked ramp and buttermilk ranch (shown right).This was delicious but, while ever so subtle and refined, the smoked tone in this course, when followed by the smoked entree, in combination was a bit much. 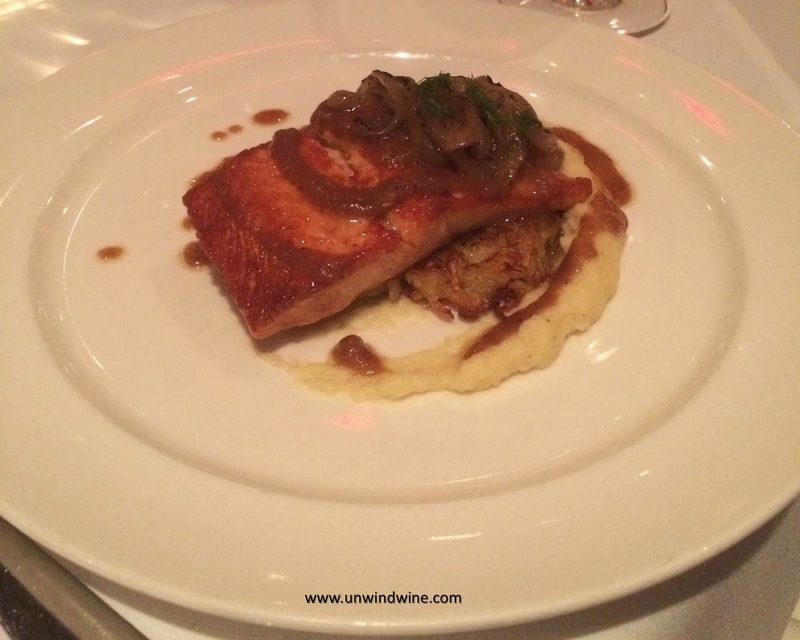 Pan-roasted steelhead trout, sauerkraut pancake, parsnip puree, wood grilled onions, smoked apple butter vinagrette, dill (shown left). The girls both had this and enjoyed it. Wood grilled pork sausage, smoked ham, toasted polenta, confit celery root, grilled meyer lemon, marcoot creamery tomme, preserved tomato pork broth. Johnnie and I both had this and while it was good, the smoked ham overpowered the tasty pork sausage. Also, the double smoked selection of the smoked entree following the smoked beet salad was a but much. 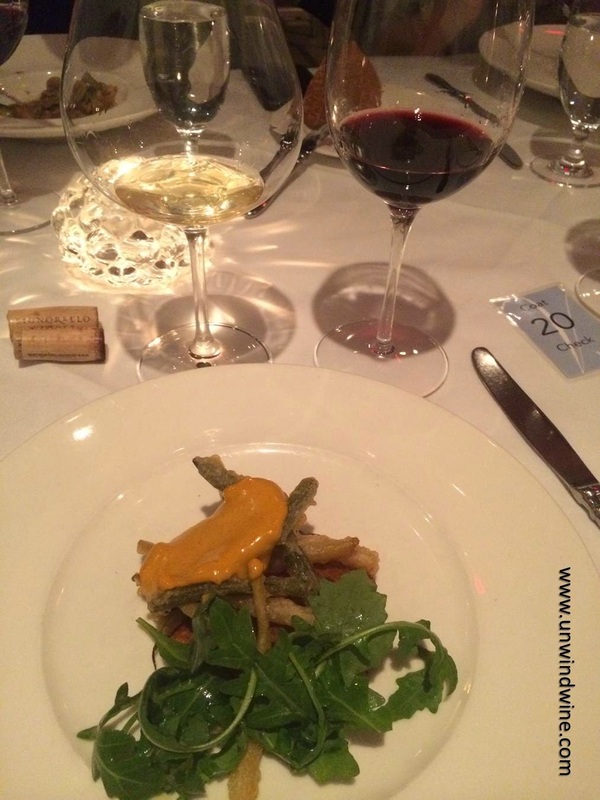 We discovered and acquired this wine at a winery dinner/visit at the magnificent setting overlooking lower Napa Valley vineyards during our Napa Wine Experience 2013. I selected this hearty full, forward Chardonnay that I knew would accompany the fish entree as well as the first and second starter and salad courses and I was right. 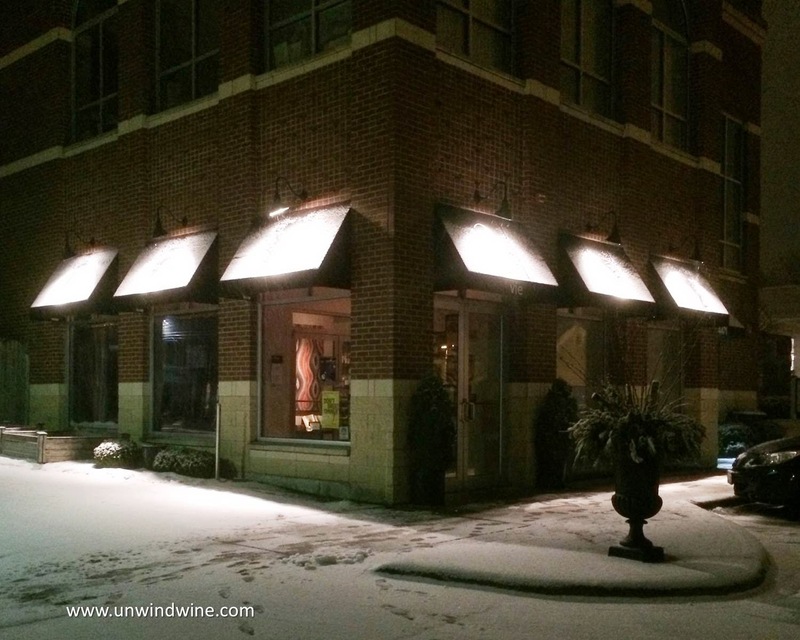 Read through my blog postings and you'll know I am predominantly a red wine drinker. While I enjoy an occasional glass of white, most often with appropriate food, I don't normally get excited about a white wine. This Chardonnay was the exception, memorable and special. This was the first bottle from our winery purchase that we have opened at home and it met all my high expectations. This Hopes Cuvée Chardonnay was full bodied but nicely balanced and polished for very pleasant drinking. It is bursting with flavorful fruit with layers of peach and poached pear giving way to hints of honey, almond, nutmeg, vanilla and creamy soft spicy oak. 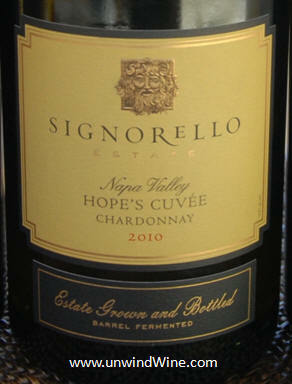 There is very pleasant full mouth-feel with rich texture on the palate with a long lingering finish of sweet mellow oak. It was a great accompaniment to the carefully prepared, complex fine cuisine courses. While it wasn't listed on the Vie website when I planned and selected the wines for the evening, their wine list featured the Signorello flagship Padrone Napa Cabernet. 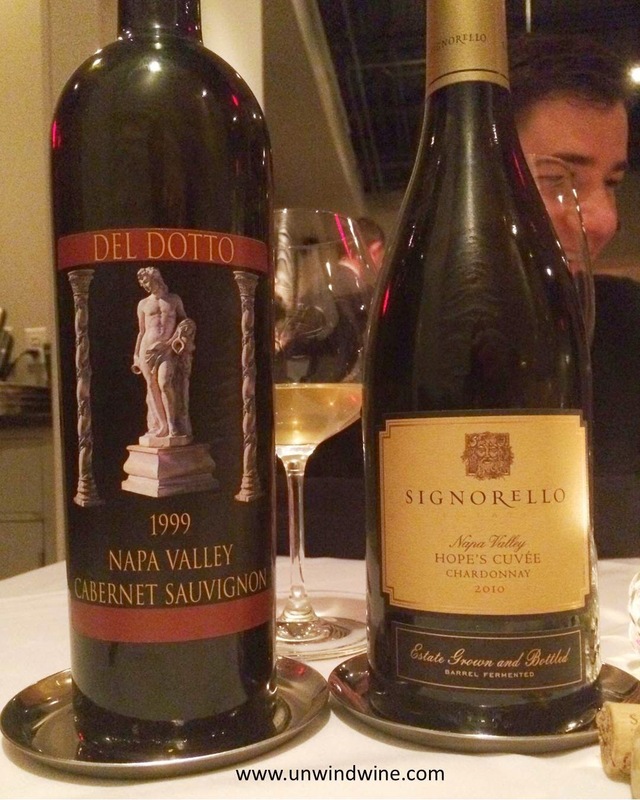 It would have been fun to have a Signorello wine flight for our dinner experience. We'll plan this for a future visit. Padrone is Signorello's flagship wine, produced in honor of Ray Signorello Sr., the patriarch of the family and founder of the estate. We have a vertical collection of this wine dating back to the inaugural vintage release in 1993. Del Dotto is one of our favorite Napa producers and we've visited the winery many times over the years. A tour of the sensational Del Dotto winery and cave was a highlight of Erin and Johnnie's Napa trip. So, it was fitting to select a Del Dotto for our dinner together. The 1999 vintage commemorates a special benchmark year for the kids too. 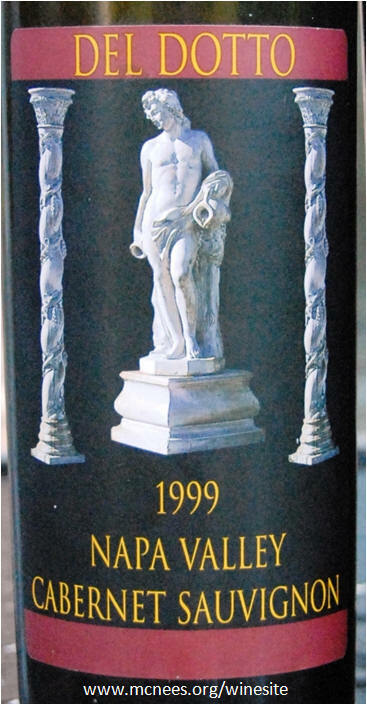 This 1999 vintage was the artwork of legendary winemaker Nils Venge crafted from Rutherford appellation fruit. At sixteen years, this is a testament to the aging potential of this label as it is still full, firm and vibrant and is just starting to show its age as tones of earth, leather, and tobacco are starting to set in. These tones turned to bright floral notes after being open an hour. Dark garnet colored, full bodied, firm gripping forward black berry fruits laced with that classic Rutherford dust, complex but nicely balanced with intense dark cherry, black currant and blackberry fruits, a layer of cedar and spicy tangy oak on a lingering finish of tight structured tannins. 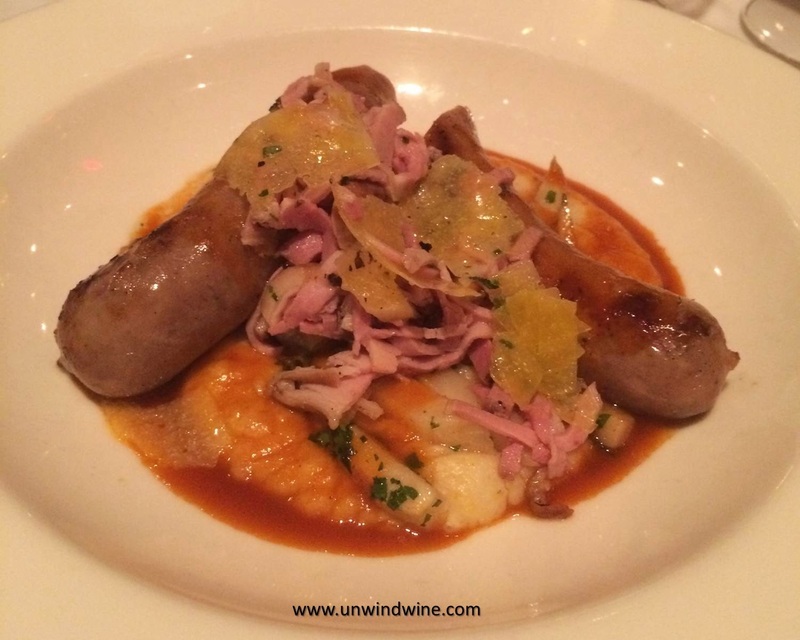 This was a great complement to the complex mix of tastes in the wood grilled pork sausage and smoked ham entree that matched well with the wine's complexity. 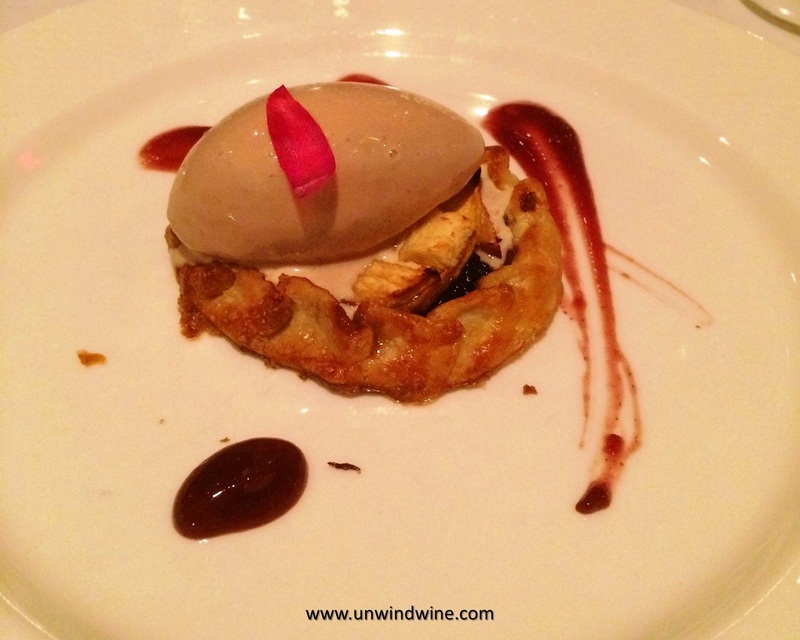 Apple and raspberry galette, milk chocolate gelato, and raspberry preserves (shown right). This was spectacular.